Enlarge / National Security Advisor Ambassador John Bolton took lead on announcing President Trump’s latest executive order. WASHINGTON—In a call with journalists today, National Security Advisor John Bolton and Director of National Intelligence Dan Coates outlined an executive order just signed by President Donald Trump that would result in automatic sanctions against any foreign entities found to have attempted to interfere in US elections. The order, not yet released, is meant as a deterrent against interference in the 2018 midterm elections. 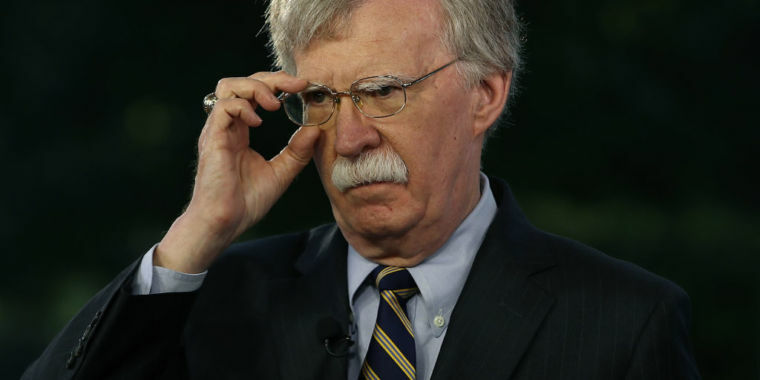 Bolton had previously warned that there were signs of election meddling from China, North Korea, and Iran, though he offered no specific evidence. 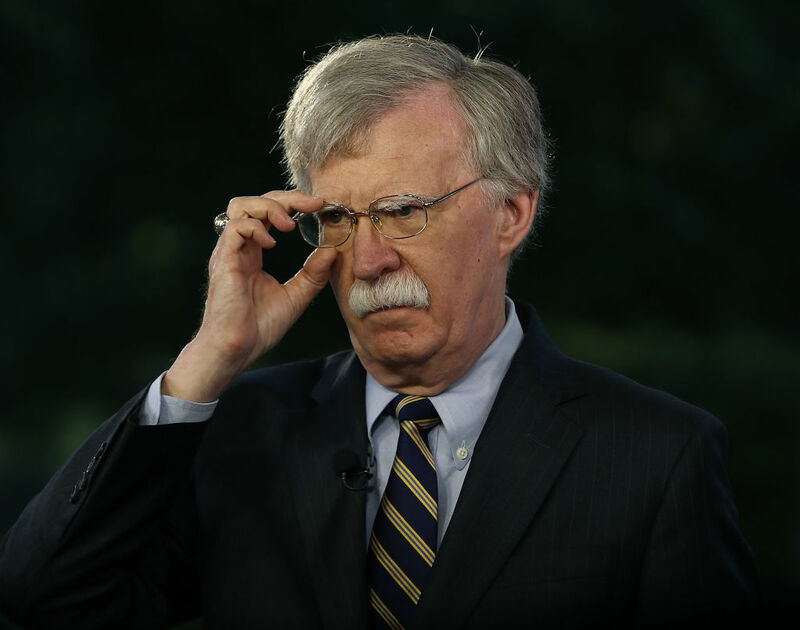 And evidence would not be forthcoming in the event that the White House considers sanctions under this order—the first word of any assessment would come with the sanctions themselves, Bolton told reporters. “These are sensitive, sometimes very dangerous operations, and we have to operate with respect to sources and methods,” he said. Bolton said that the executive order, entitled “Imposing Certain Sanctions in the Event of Foreign Interference in a United States Election,” would “protect the US against interference in our elections and the political process more broadly.” The order declares a national emergency, Bolton said, and requires DNI to make regular assessments of activities targeting the US electoral process, reporting findings to the Department of Justice and Department of Homeland Security. Bolton noted that the scope of the order included not just attacks on election infrastructure but also “the distribution of propaganda” intended to impact the electoral process. If DOJ and DHS officials concurred with the director of national intelligence’s report, sanctions would “automatically” be leveled against those determined to be behind the interference; the State Department and Department of the Treasury would then review the sanctions and determine whether they were sufficient and appropriate to the severity of the activity. Sanctions authorized in the executive order include blocking of assets, transfer of property, US investment in sanctioned companies, and restriction of travel. Cutting Congress off at the pass? The executive order comes as bills in the House and Senate have gained support that would require sanctions against any government or person determined to have engaged in electoral interference. The Deter Act, proposed in January by Senators Chris Van Hollen (D-Maryland) and Marco Rubio (R-Florida), would mandate broad economic sanctions against Russian companies and require the White House to identify other countries that had been involved in electoral interference and provide proposed sanctions within 90 days. A similar bill is moving forward in the House. Update, 2:30 PM ET: Van Hollen and Rubio issued a joint statement on the executive order, stating, “Today’s announcement by the Administration recognizes the threat, but does not go far enough to address it. The United States can and must do more. Mandatory sanctions on anyone who attacks our electoral systems serve as the best deterrent, which is the central tenet of the bipartisan DETER Act. We must make sure Vladimir Putin’s Russia, or any other foreign actor, understands that we will respond decisively and impose punishing consequences against those who interfere in our democracy.” Van Hollen and Rubio urged colleagues in the Senate to quickly pass the Deter Act before the November elections.